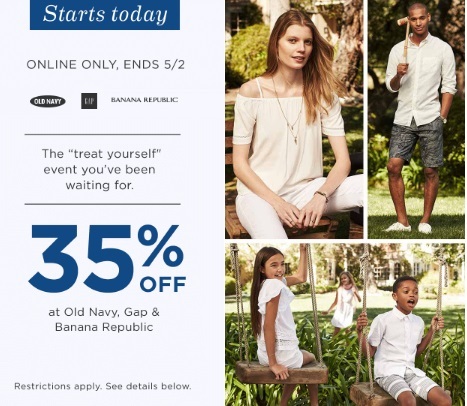 Old Navy, Gap and Banana Republic has a new promo code! Save 35% off your entire online purchase at any of these stores, or a combination of any with the promo code below! Enter the promo code MAY35 at checkout. Offer is valid until May 2, 2016. Free shipping applies on orders of $50 or more.